Arrived in Washington in 1987. 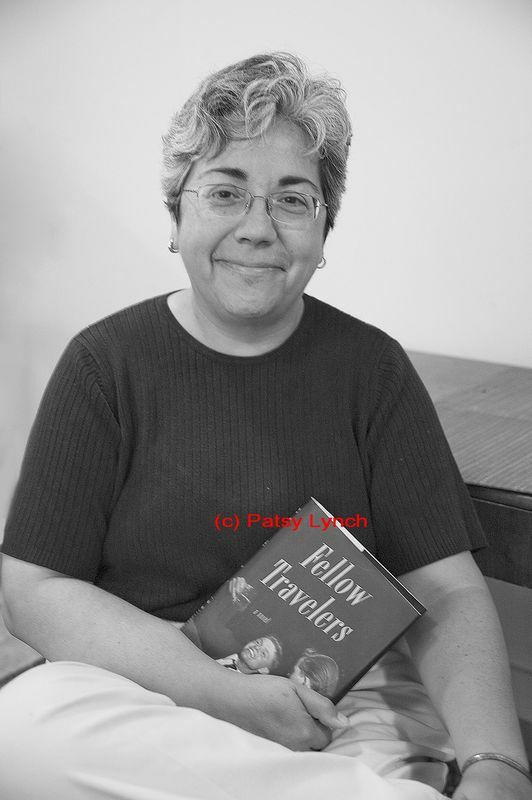 Letitia Gomez, better known as Leti, came to Washington in 1987 for the second lesbian and gay national march, and stayed. For two decades she has been creating support organizations and a political role for Latino/a gays and lesbians. Gomez is also known for her health care advocacy for lesbians and her involvement in HIV/AIDS community support and education. She was part of the founding of both the National Latino/a Lesbian and Gay Organization (LLEGO) and Washington's own ENLACE, a support organization for gay Latinos and Latinas. Already a community organizer in Texas, Gomez became actively involved in organizing for Latino/a gays and lesbians shortly after her arrival. In a day when local gay and lesbian clubs rarely provided opportunities for Latino/as, refusing even to play their music, ENLACE promised to be “A peer support group allows gay Latinos to come together to discuss common issues of AIDS/HIV, family relationships, identity and self-esteem.” ENLACE defined itself as a political organization but it used social events to identify Latino gays and lesbians and to deliver its message of support. One of ENLACE's major contributions was its ground-breaking work in AIDS awareness and HIV education, in particular the launch in November 1990 of a Spanish language AIDS phone hotline, HOLA! . Gomez's skills in community organization served ENLACE and LLEGO in building coalitions throughout the community. While Executive Director of LLEGO, she also built relationships with the DC Coalition, Whitman-Walker Clinic and other AIDS organizations. In 1992, Gomez became president of ENLACE. That same year she was appointed to the DC Civilian Complaint Board. Following the Mt. Pleasant disturbances in 1992, Gomez was involved in examining the event's causes. The following year she was elected to the Latino Civil Rights Task Force as it examined bias and other issues affecting the community. Gomez's involvement with health advocacy and AIDS created demand for her services. She was elected to the AIDS Action Foundation's Board of Directors, served on Whitman-Walker Clinic's community advisory board for the Lesbian Services Program. She is currently a board member of Whitman-Walker Clinic. Having lived so much of the community's history, she is actively supporting its preservation.